« Don’t Add Your Fear to a Crisis. Step Outside of the Drama. Today we ask that you remain calm in the face of collective anxiety. Whether there are literal storms or not, there are always psychic storms going on in your reality. Your reality is highly dramatic — a riveting drama, really. Which, believe it or not, is exactly how most of you like it. Consider how much you enjoy watching movies and TV shows in which the stakes are very high. There is riveting dramatic conflict. Often the fate of the world is at stake! You would not watch a TV show about peaceful people calmly going about their ordinary lives. It would not be very dramatic. It would be rather boring to you — watching a group of Zen monks, let’s say, meditating and scrubbing the floor. Not very exciting. Instead, you enjoy your dramas and thrillers and action movies. You enjoy watching people in peril, with the stakes very high. So it should be no surprise that there is a lot of drama in your world. It is exciting, isn’t it? Like a movie, with very high stakes. Sooner or later, however, many people grow a bit weary of the drama. They would like life to be more peaceful. This is why peace in this world starts with you, right now, at this moment. 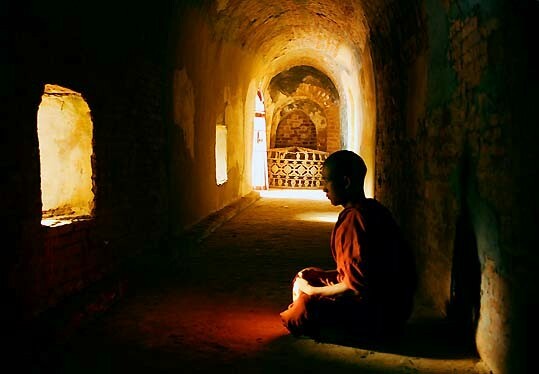 But there is a wiser, more mature part of the self that can perceive that what the meditating monks are doing is not “boring” in the least. For they are doing what so few people do in this world. They are stepping outside the drama. What does it mean to step outside the drama? It means all the world’s dramas continue to play out, with all their grandiosity and high stakes — but you are not so affected by it. You observe the drama, but you are not caught up in it. And then you become a very useful person. You become like the “Obi Wan” or the “Yoda” or the “Gandalf.” Such figures are actually immensely helpful in creating peace within their respective world dramas — but this is only because they have spent a great deal of time cultivating their own inner peace. So that is why it is good to spend less time caught up in all the “real” or “fictional” dramas on TV, and more time cultivating a peaceful mind through meditative practices. That way, when a true crisis unfolds, you will be the kind of person who helps to restore peace — instead of further heightening the drama.